Zibo Jinggan Refractories Import and Export Co., Ltd. was established in June 2013. 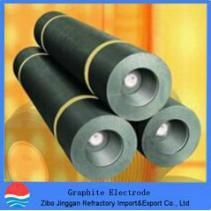 It is an export company specializing in refractory series products, graphite products, mining machinery and other products. It is located in Shandong Zibo City, China. Since the establishment of company, the company has always adhered to purpose of the company's quality, product quality, corporate integrity, excellent service, 100% consideration for customers, urgent customer needs, to create a first-class trading company.